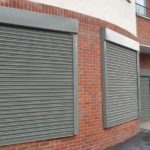 United Shopfront LTD is the Best Company For Shutter Repair in London. Our company is well-known for serving many clients with top-quality services at unbeaten prices. You can visit our website for more details.